Professor Peter G.M. Van der Heijden is Professor of Social Statistics within the Department of Social Statistics & Demography at the University of Southampton. Peter van der Heijden joined the University of Southampton in 2012 as a part time member of S3RI. 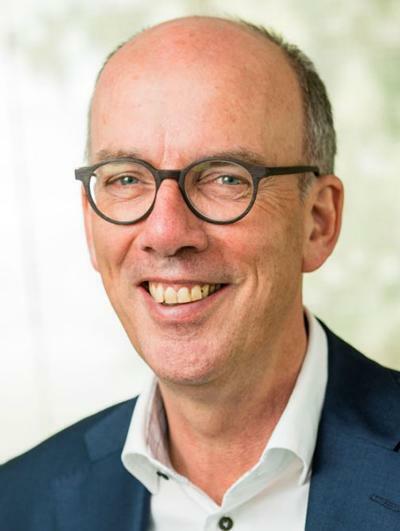 Since 1990 Peter has also held an appointment at Utrecht University as head of department of social sciences, professor of behavioural and social statistics. His research focuses on population size estimation and on randomized response. These methods are applied to hard-to-reach populations. Contract research includes homeless, domestic violence, illegal immigrants, and so on. He is associate editor of the journals Sociological Methods and Research, Statistica Modelling and Bulletin de Methodologie Sociologique. He is book series editor for CRC Press in the interdisciplinary statistics series. In Utrecht he chairs the Facultary Ethical Review Board and the Committee for Scientific Integrity. He is member of the advisory council of Statistics Netherlands, chair of the advisory council on methodology of Statistics Netherlands, and chair of the research guiding committee on recidivism of the Ministry of Safety and Justice in the Netherlands. He is statistical consultant of Emotional Brain, a company developing drugs. Zwane, E., & van der Heijden, P. G. M. (2008). Capture-recapture studies with incomplete mixed categorical and continous covariates. Journal of Data Science, 6(4), 573-589. Van Der Heijden, P., Smith, P. A., Whittaker, J., Cruyff, M., & Bakker, B. F. M. (2019). Dual and multiple system estimation with fully and partially observed covariates. In L-C. Zhang, & R. L. Chambers (Eds. ), Analysis of Integrated Data (1st ed., pp. 137-168). (Chapman & Hall/CRC Statistics in the Social and Behavioral Sciences). Chapman and Hall/CRC. Pelle, E., Hessen, D. J., & Van Der Heijden, P. (2018). A multidimensional Rasch model for multiple system estimation. In Capture-Recapture Methods for the Social and Medical Sciences (pp. 315-339). ( Chapman & Hall/CRC Interdisciplinary Statistics). Boca Raton: Chapman & Hall/CRC. Bakker, B., Van Der Heijden, P. G. M., & Gerritse, S. C. (2018). Estimation of non-registered usual residents in the Netherlands. In Capture-Recapture Methods for the Social and Medical Sciences (pp. 259-273). (Chapman & Hall/CRC Interdisciplinary Statistics). Boca Raton: Chapman & Hall/CRC. Cruyff, M. J. L. F., Husken, T. F., & Van Der Heijden, P. G. M. (2018). Extending the truncated Poisson regression model to a time-at-risk model. In D. Boehning, P. G. M. van der Heijden, & J. Bunge (Eds. ), Capture-Recapture Methods for the Social and Medical Sciences (pp. 155-162). (Chapman & Hall/CRC Interdisciplinary Statistics). Boca Raton: Chapman & Hall/CRC. van der Heijden, P. G. M., & Böckenholt, U. (2008). Applications of randomized response methodology in e-commerce. In W. Jank, & G. Shmueli (Eds. ), Statistical Methods in e-Commerce Research (pp. 401-406). Chichester, GB: Wiley. Van Dijk, J., Cruyff, M., Van Der Heijden, P., & Kragten-Heerdink, S. L. J. (2018). Monitoring Target 16.2 of the United Nations sustainable development goals: a multiple systems estimation of the numbers of presumed human trafficking victims in the Netherlands in 2010-2015 by year, age, gender, form of exploitation and nationality. UNODC: United Nations Office on Drugs and Crime. Van Der Heijden, P. (2018). Monitoring Target 16.2 of the United Nations Sustainable Development Goals: multiple systems estimation of the numbers of presumed victims of trafficking in persons. Ireland. Vienna: UNODC: United Nations Office on Drugs and Crime. Van Der Heijden, P. (2018). Monitoring Target 16.2 of the United Nations Sustainable Development Goals: multiple systems estimation of the numbers of presumed victims of trafficking in persons. Romania. Vienna: UNODC: United Nations Office on Drugs and Crime. Van Der Heijden, P. (2018). Monitoring Target 16.2 of the United Nations Sustainable Development Goals: multiple systems estimation of the numbers of presumed victims of trafficking in persons. Serbia. Vienna: UNODC: United Nations Office on Drugs and Crime. Van Dijk, J., Van Der Heijden, P. G. M., & Kragten-Heerdink, S. L. J. (2016). Multiple systems estimation for estimating the number of victims of human trafficking across the world. Vienna, AT: UNODC: United Nations Office on Drugs and Crime. Racinskij, V., Smith, P. A., & Van Der Heijden, P. (2019). Linkage free dual system estimation. arXiv. He teaches multivariate analysis, including multilevel modelling. In Southampton he teaches the MOffStat course regression modelling.